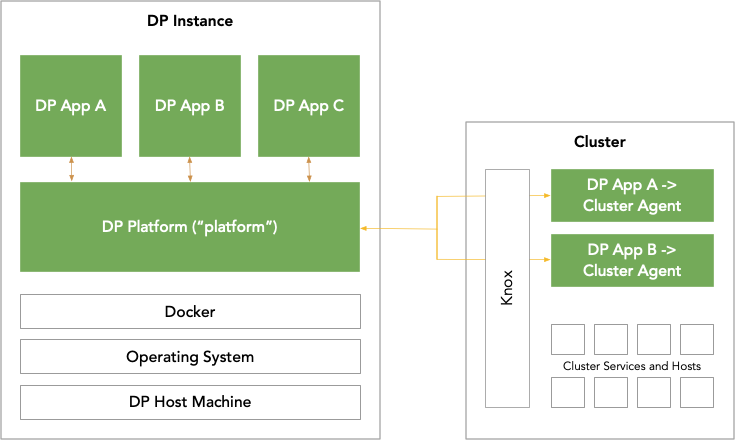 Hortonworks DataPlane is a portfolio of data solutions that will support the management & discovery of data (whether at-rest or in-motion) and enable an enterprise hybrid data strategy (from the data center to the cloud). DataPlane is composed of a core platform (“DP Platform” or “Platform”) and an extensible set of apps (“DP Apps”) that are installed on the platform. Depending on which app you plan to use, you may be required to install an agent into a cluster to support that app, as well as meet other cluster requirements.